The centerpiece of the best Springsteen album since Tunnel of Love, “Land of Hope and Dreams” was a bit of a ringer, having been written in the late 1990s, and debuting on 2000?s Live in NYC. And as much as I loved that version, this one moves me even more. By taking the conceit of universal salvation from “People Get Ready” and making it even bigger by mixing it with the themes of America as melting pot, as America as a place to find your redemption and America as a place that would fuel an artist as improbable as Bruce Springsteen, “Land of Hope and Dreams” fuses Curtis Mayfield and Woody Guthrie while sounding totally like Bruce Springsteen. And make no mistake: “Land of Hope and Dreams” is peak 21st century Bruce Springsteen, mixing a drum machine with a his over-expanded band, and featuring Clarence Clemons sax solo from beyond the grave. Big and universal and detailed and personal all at the same time. With of course, yet another killer Roy Bittan piano hook as the centerpiece. 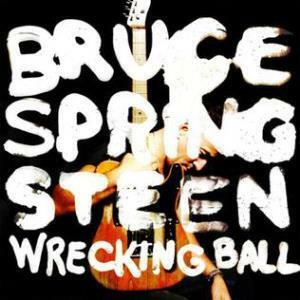 For me, Wrecking Ball was the best Bruce Springsteen album since Tunnel of Love (though I was shocked it took him 40 years to write a song called “Jack of All Trades”) – and showed that – like Bob Dylan or Neil Young – Bruce is one of the rare legacy artists who could still pull out a great album this deep into his recording career. And yes, he followed it up with the abysmal High Hopes – probably the worst album of his entire career – but then he followed High Hopes almost with the pretty great American Beauty EP, so all I know for sure is that whatever Bruce Springsteen does next, I’ll be onboard.